Hello, friends! Today I’m taking part in a fun holiday kitchen blog hop hosted by Tammy from Pink Peppermint Design! If you’re stopping by from Tammy’s blog, welcome! I’m so glad you’re here! Pretty much every surface in my house is covered in bottle brush trees this year. I’ve always loved them, but they’ve especially captured my heart this year. The pretty pops of color have the house feeling so happy for the holidays. I completely forgot to write something Christmas-y on the chalkboard above the doorway into the laundry room, but I think it’s still a blog-worthy shot. 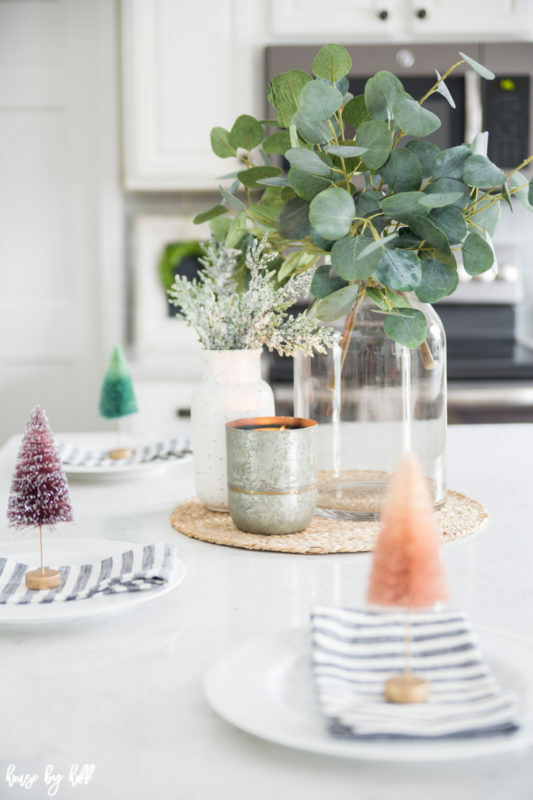 😉 Isn’t it fun how these little trees can make a simple place setting feel special? 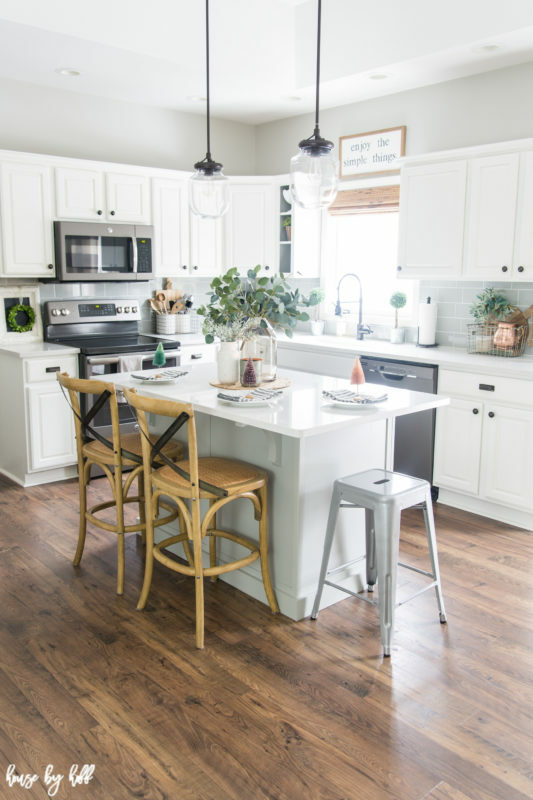 It’s been a couple of years since we redid our kitchen, but I’m so glad I chose finishes and colors that are pretty classic. I haven’t gotten tired of anything in this space yet. It’s a great neutral backdrop for any kind of seasonal decorating. Now on with the tour! The next stop is Monica Wants It! Happy Holidays, friends! Oh so pretty. 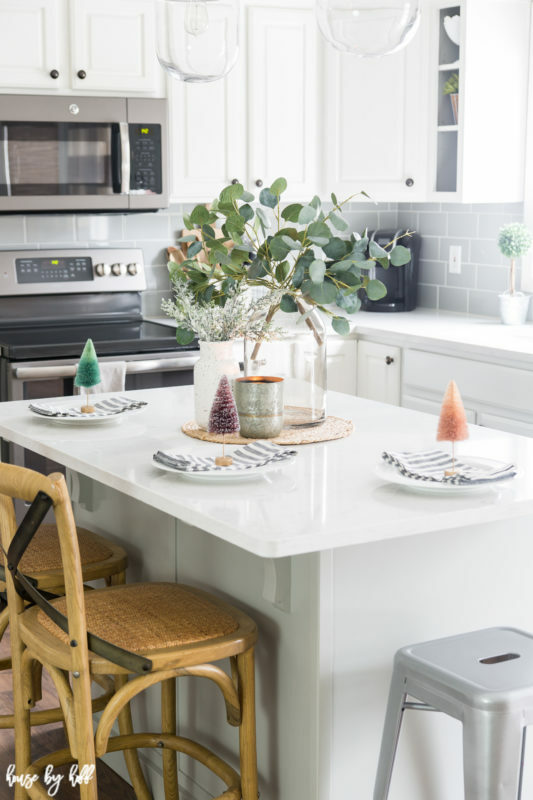 I love those little bottle brush trees too and yes, they do make each placesetting special. Beautiful kitchen. 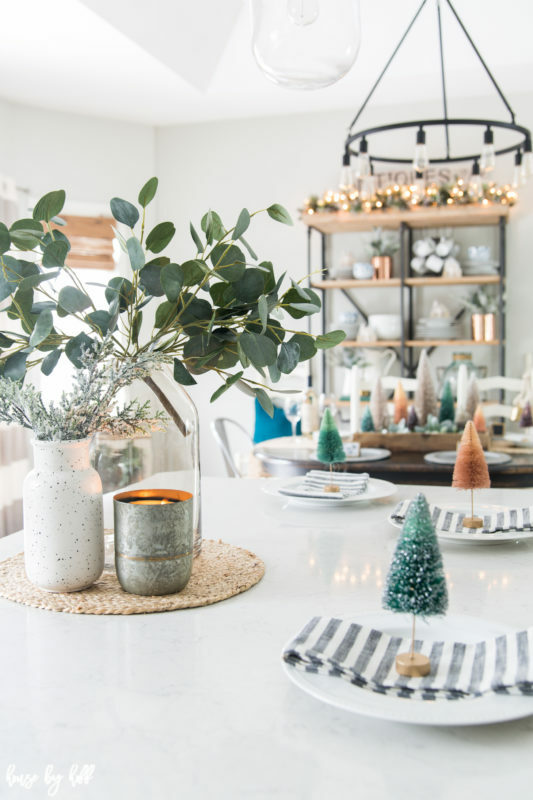 Eucalyptus are the perfect Christmas green right?! Gorgeous tour, April! Perfect year ’round! 🙂 Thanks so much, Laura! The colorful trees make all the difference! Such a wee bit of festive fun. Beautiful kitchen, April, you should be very proud of it. I have a fondness for bottle brush trees too! April ! 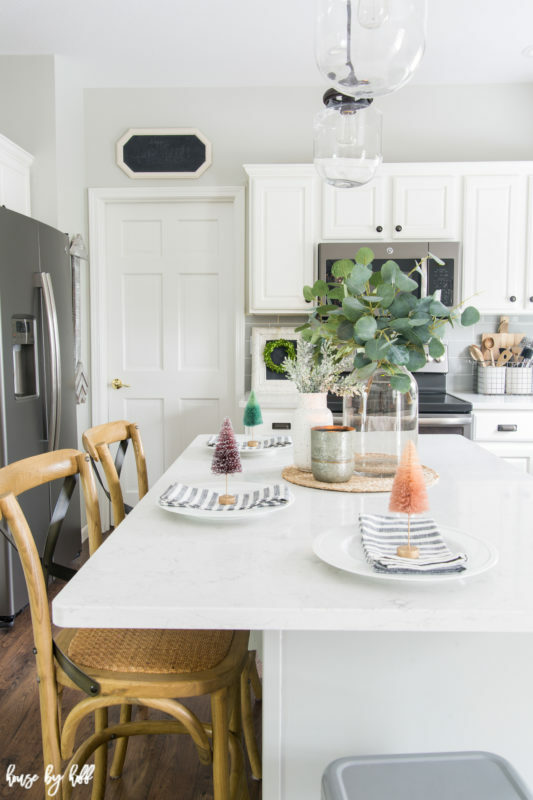 Love your kitchen and I am addicted to bottle brush trees too!